The Tsilang components recently added support for Delphi XE5 and Firemonkey with cross platform support for Android and IOS. This set of components is a full featured localization package which allows you to localize your existing Firemonkey projects for Delphi XE5. It is important when deploying to the various app stores that you can provide localized versions of your apps in order to reach the broadest possible market of users worldwide. 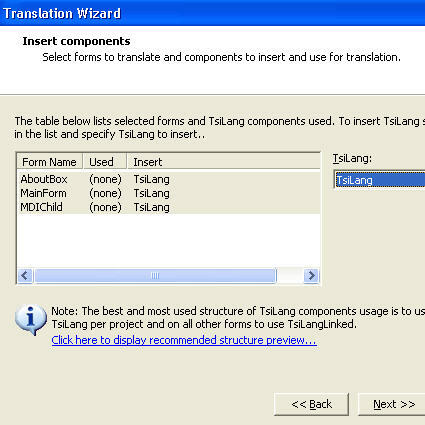 The translation tools in Tsilang include a Tsilang expert, Translation Wizard, Translation Editor, and even supports translating TDBGrids. This is a commercial component but a trial is available. For an open source component take a look at DKLang. Download the Tsiland trial and see how you can localize your Firemonkey apps.